Gov. Jay Inslee signed an emergency proclamation Tuesday for all 39 counties to ensure the immediate response of firefighting resources to protect people, homes, businesses and public and private property from the threat of wildfire. Dangerous fire fuel and weather conditions exist throughout the state. The proclamation allows for assistance from the Washington National Guard, which routinely trains and certifies soldiers and airmen to fight wildfires. Already, the Department of Natural Resources has requested from the Washington National Guard the use of aviation assets, as well as 20-person hand crews to be deployed to Eastern Washington. 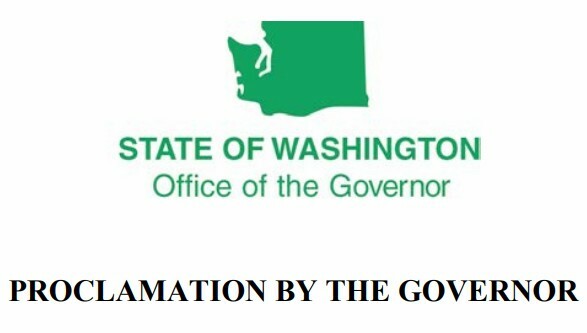 Under the proclamation, the Washington State Emergency Operations Center is instructed to coordinate all assistance to areas affected by wildfire. The EOC has already been activated to support DNR and the state’s Fire Marshal’s Office, which have been leading ongoing firefighting efforts. To prevent wildfires, DNR recommends that the public refrain from using fireworks, starting campfires in prohibited areas, parking vehicles on grass and throwing cigarettes out of car windows. Residents can also ensure that brush and woody debris are removed from the perimeter of their homes. More fire tips are available at www.dnr.wa.gov/WildfirePrevention.